Break egg into a large bowl and beat with fork (or whisk). Zest the lemon, then cut in half and squeeze to yield 1 tablespoon juice. Alternatively, use bottled lemon juice and skip the zest. Add lemon juice, zest, mayonnaise, mustard, horseradish, salt, red pepper flakes, Tabasco, and black pepper. Beat again. 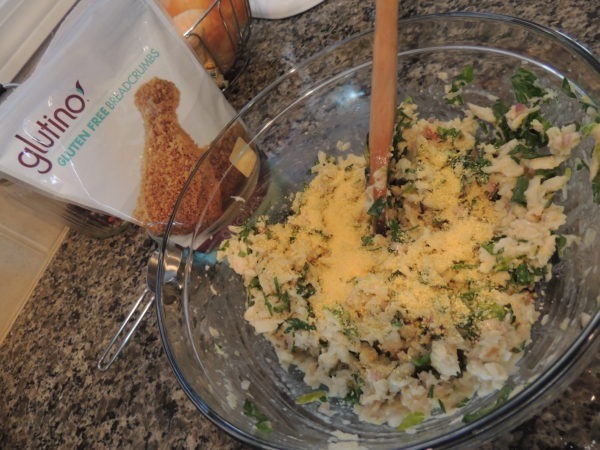 Add crab, bread crumbs, chives, and parsley. Stir well. Form into patties (6 to 8), cover with plastic wrap, and refrigerate at least 30 minutes (longer is fine). Melt butter in a large skillet (iron skillets work very well for this recipe) over medium heat. 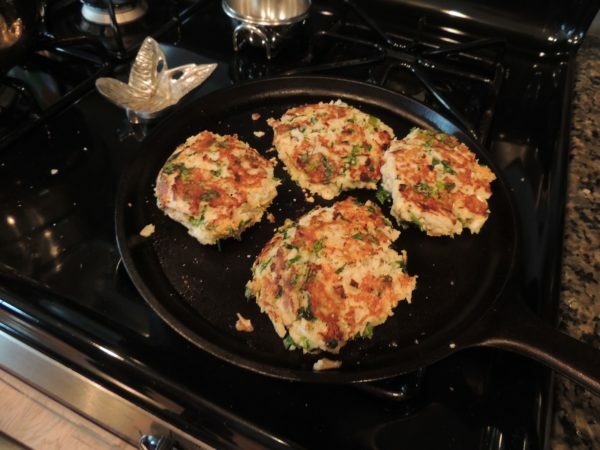 Cook crab cakes 3 to 5 minutes on each side, until browned and cooked through. Serve with a dollop of mayo and a dash of Tabasco, or aioli. Garnish with a sprig of parsley if desired.